Fantastic place in an old house right at the entrance of the village. Originally it was built to be a coffee place on the top floor, a restaurant on the lower floor and a bar next to that, but due to its popularity all the rooms are now being used as a restaurant. Its cozy, homely and comfy décor look more like a chalet or a cottage. The menu is fixed and the food is proper Cypriot, often including “kleftiko” (slow cooked lamp, pasticcio (traditional macaroni with béchamel) and other traditional dishes. 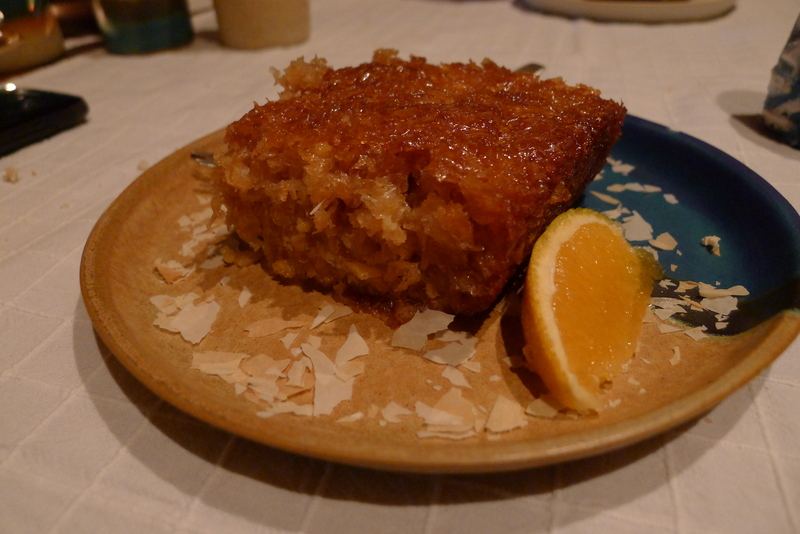 The highlight (apart from the place itself), is the “portokalopitta” (orange pie). The restaurant has changed owner in autumn 2012 and the same quality as above is not guaranteed until an updated review is written.